Our business model, eclectic tastes and short attention spans mean that having a dedicated "core range" of beers is simply not our ideal approach. Instead, we have a pool of beer recipes which we can freely dip into as the seasons, tastes and whims dictate. Here are our current offerings..
A juicy, hazy mango pale ale, Papa Mango is dry hopped with Citra and Azacca hops and then conditioned on 60kg of Alfonso mango puree. Think juicy mango overload with a soft hoppy finish, or, as Neil describes it "like a grown up Solero". An easy drinking, fully flavoured session beer packed full of hops. Double dry hopped for big flavour and aroma and packed with oats for a full body. A hopped up, flavour packed and seriously drinkable lager, traditionally cold conditioned for 6 weeks until reaching crispy perfection. Dry hopped to add an extra level of subtle citrus goodness. 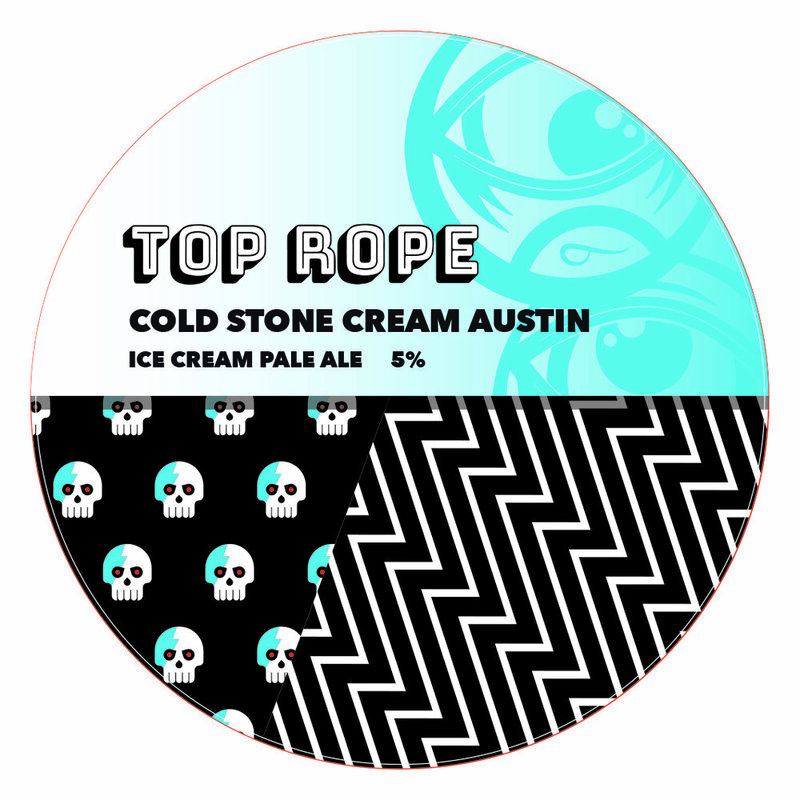 The first Top Rope beer ever brewed! Originally homebrewed the day after the sad passing of Motorhead’s Lemmy, this is our bitter, hoppy, west cost style tribute to the late rock legend. A tribute to the legendary everyman Dusty Rhodes, this cask exclusive pale really is a beer for the people. Citra in the dry hop creates a delicious tropical fruit flavour and the malt bill provides a solid foundation for the hops to do their thing. A tart, refreshing kettle sour infused with 40kg of blueberry puree. To take it to the next level, we also added 3kg of fruity, delicious Kenyan coffee from local roasting experts Neighborhood Coffee (wonderfully named "A Grind of Magic", check out their fantastic coffee puns here). Blueberries? Coffee? All you need are the pancakes! A big, hoppy monster of an east coast IPA, double dry hopped with about as much Citra and Mosaic as we can cram into the fermenter. Think fruity, juicy flavours, predominantly soft with a slight underlying bitterness and a smooth, long finish. A smooth, easy drinking Ice Cream pale, infused with vanilla for a subtle sweetness and light floral notes and dry hopped with Cascade and Mandarina Bavaria for a refreshing citrus finish. We worked really hard on this recipe to produce an ice cream like texture without using lactose, meaning that (like all of our beers) it's completely vegan friendly. Vegan ice cream? Gimme a hell yeah! A modern take on a classic, a good, proper roasty stout balanced out with just the right amount of vanilla flavor. Loads of coffee and chocolate flavors come through from the complex malt bill, with the oats adding a smooth body and the vanilla imparting a touch of sweetness without becoming cloying.